Heart-Shaped Bo-Berry Biscuits are back at Bojangles' for a limited time through Valentine's Day at participating locations. 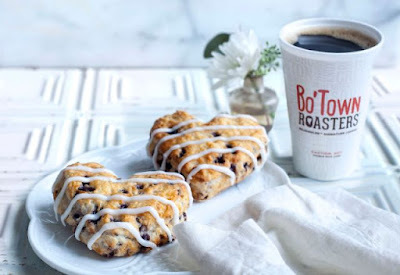 The heart-shaped version of the chain's signature Bo-Berry Biscuits feature the same (blueberry-flavored) Bo-Berries baked inside of biscuit dough and topped with vanilla icing. Like the chain's regular biscuits, they are made from scratch and baked throughout the day.